Qualification : Graduate Degree from any recognized University/Institute with at least 60% of aggregate score. Age : 18 years for all category candidates; upper age limit is 35 years for candidates. 5 years relaxation is there for SC/ST candidates, 3 Years for 2A, 2B, 3A &amp; 3B Category Candidates. Selection Process : Selection will be through written examination. It has 100 questions for 200 marks. Time duration is two hours and it is an objective type. Last date : 18th October, 2016. Salary : Pay Scale is Rs.20000-36300/- per month for Panchayath Development Officer posts;Rs.14550-26700/- per month for Grama Panchayath Secretaries. 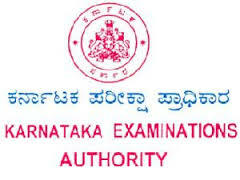 How To Apply : Karnataka Examinations Authority (KEA) department requires online applications. Starting date to submit online application form is 16th September, 2016. Last date for online registration process is 15th October, 2016.